From the archives of Rotten Tomatoes, comes an article by Luke Goodsell, Five Favorite Films with Whit Stillman. 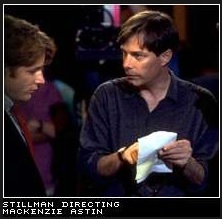 As the title suggests, Whit Stillman picks five of his favorite films. Stillman did a top ten list for Criterion a couple years back, but this one is more recent. His love of Preston Sturges and Fred Astaire musicals shows in his picks.